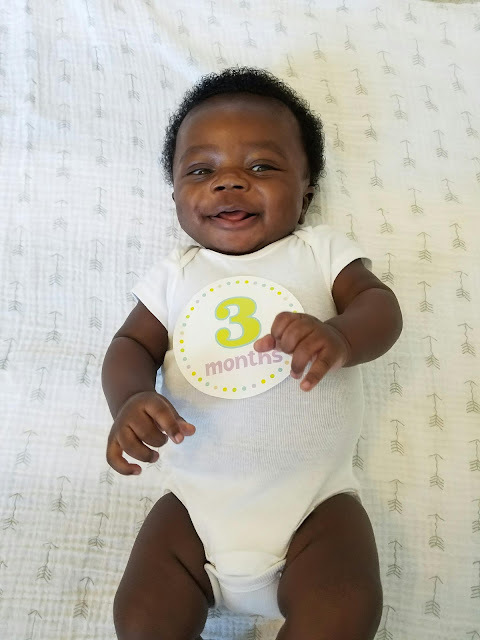 So, we are combining month One, Two and Three because for the first month, you pretty much did nothing but sleep, pop and eat. By month two, you started developing your little funky personality which includes my favorite, a big wide smile and sometimes you throw in some giggles. And by month 3, well, here we are and you my boy are going to be one funny, playful, heart warming little dude. My dear baby boy, you have brought a new found joy and completion to our family. Your entrance into this world was a wonderful and an exciting experience. As a newborn, you were very peaceful and you still are but you don't play with your food at all. I think that is about the only thing that will make you cranky and cry. Which is good, because otherwise, we may never know when you're hungry because you stay chilling majority of the time. Love sleep. one more thing that makes you cry mostly at night. Its like you love afternoon naps and go down quietly without any fuss, but going to sleep at night, let's just say once in a while, you have your moment. You like to see someone around you, if left alone for a period of time with no face or voice around you, that makes you very unhappy. You love playing with your big sister. Even though sometimes I feel like she's been too hard on you, I think you love it. When she screams, you scream right back, throwing your hands and legs. You voice is getting louder by the day, which means the days of your cute little undertone cry are long gone. With your new found voice you love to babble and giggle, especially right before you go to sleep. Almost like your telling yourself a story (talking yourself to sleep). Just like your sister, you can stretch for days. It's a process you go through each time you wake up, not even food will make you skip your stretching session. 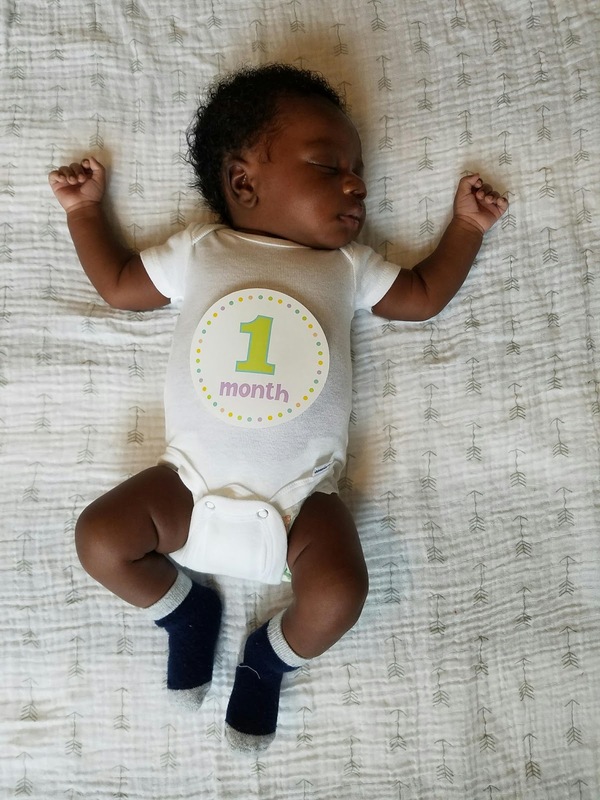 At your 2 months well visit, you weighed a whopping 11.11lbs, won't say I'll be surprised at your next weigh in at 4 months. 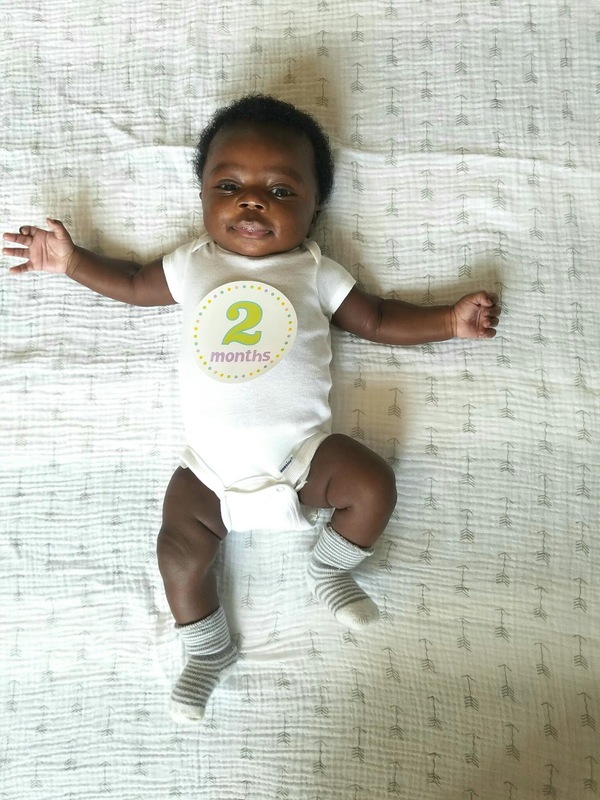 Talking about well check up, you got a few shots at your two months check up and you took it like a champ. It was like nothing happened. I think I was more distressed about it than you were. You like being held, I mean what baby doesn't. But, you have no problem laying down by yourself either. You, my love are a true source of joy to our family and we couldn't be more thankful to have you in our lives.